Join us for our first annual Heart of L'Arche Benefit & Auction on Sunday, September 9th from 4-7pm. This annual fundraiser will serve as a conduit for the resources L'Arche Chicago relies on to provide high quality care and support in family-style homes where faith is at the center. We are delighted to invite you to our 5th Annual L’Arche Golf Classic at Hawthorn Woods Country Club on Monday, June 11, 2018. L’Arche Chicago is a community where people with and without intellectual disabilities share life together in homes, as family. L’Arche strives to merge the highest quality of care with mutual relationships, building a community where everyone has a genuine place of belonging. 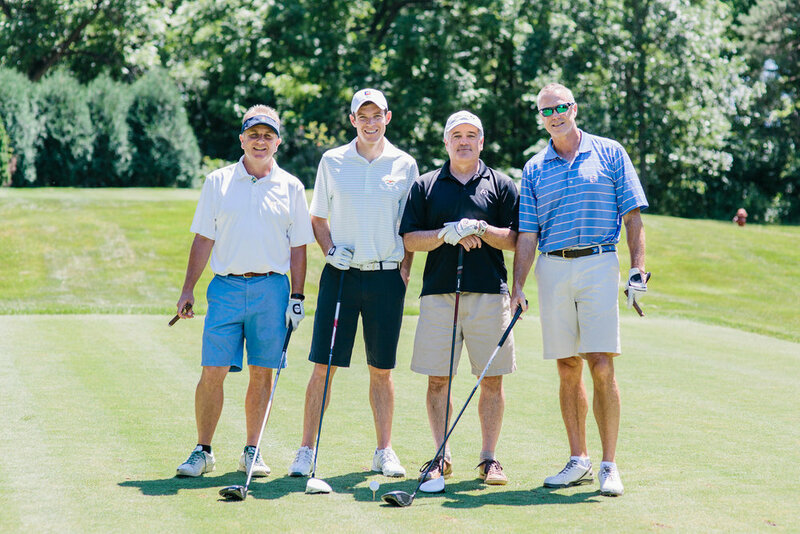 Your participation and donations to the 2018 Golf Classic will make a direct impact on the lives of vulnerable adults with disabilities while also giving a life changing experience to new assistants and new neighbors. For 2018, we’ve got our eyes set on raising $50,000 in order to fund the care for new core members (people with developmental disabilities) of the community. In the state of Illinois, there are over 7,000 people with disabilities on a waiting list for group home care. L’Arche is answering the call to grow and provide a healthy community for two people in need. So join us to golf, network with professionals, and impact the lives of people with disabilities at the beautiful Ivanhoe Golf Club!